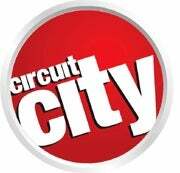 Looking to gain some ground against arch-rival Best Buy and online retailers, Circuit City is debuting a redesigned store model in June. Rather than try the bigger and badder approach, they're actually shrinking stores by a third, presumably utilizing a more economical setup in order to cut costs, though details are sketchy at this point. I'm all for it, since most of the CC stores I've been to have a poor, non-standardized layout with a lot of wasted space. On the other hand, I can walk into BBs in two different states and find everything I want. Besides, anything that allows Circuit City to keep undercutting Best Buy's prices in their weekly ads gets a thumbs up in my book. Now if they could just drop that stupid "Firedog" moniker for their Geek Squad ripoff.